Cabo de Gata Natural Park is a highly protected and unspoiled natural paradise. The location of our resort in the heart of Park will allow you to discover the hidden charms of Caba de Gata. Discover in this section a selection of his best villages, beaches and coves. 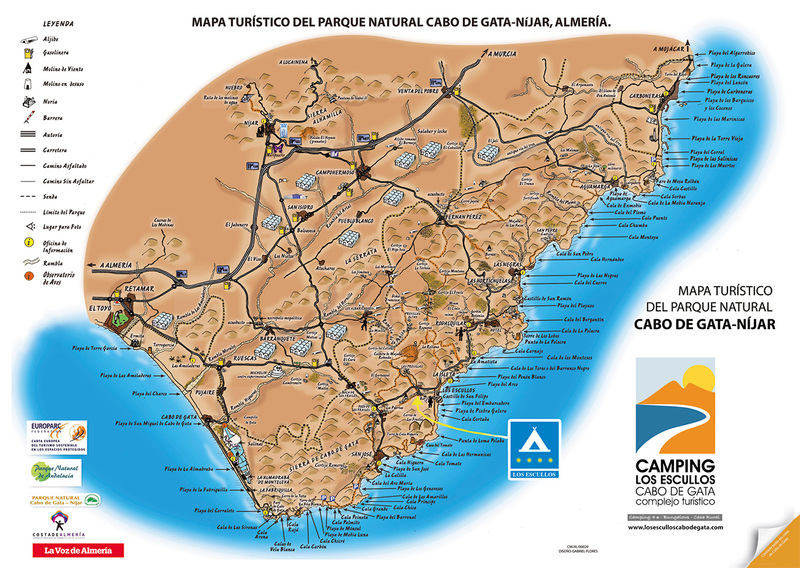 Enjoy and get to know the charm of Cabo de Gata through the hiking trails that we propose here. We also offer a small reference guide for the City of Almería, the nearest urban center to the Park and less than an hour away. Almeria offers a wide range of cultural and leisure activities. The most famous treasure of Cabo de Gata are its exceptional beaches and coves. Being a protected natural park, beaches and coves are really virgin and paradisiacal. Visit its most famous beaches and discover the most remote and hidden coves. Its main beaches are internationally renowned and have been the set of great movies. Enjoy the excellent weather all year round. Knowing Cabo de Gata through its multiple hiking trails will make you enjoy at the most its landscape and vegetation. The hiking trails in the park are mostly easy level, so they are perfect for the whole family and enjoy the untouched nature of the park and its spectacular views. Discover the city of Almeria. Only 38 Km from the resort (40 minutes).